* Improved theming support based on Eclipse 4 improvements (and scrollbar theming). 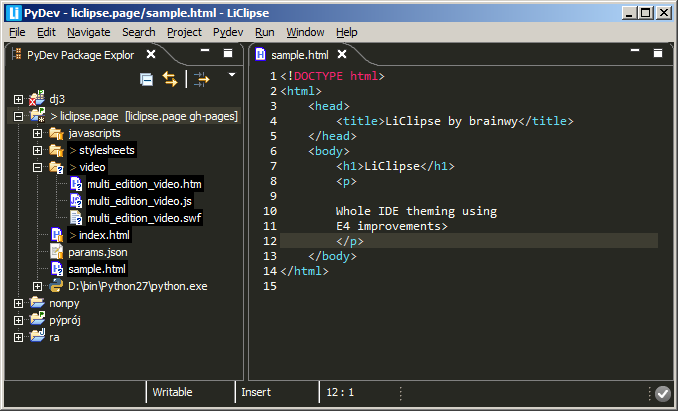 * Improved text search capabilities (see: http://www.liclipse.com/search.html). 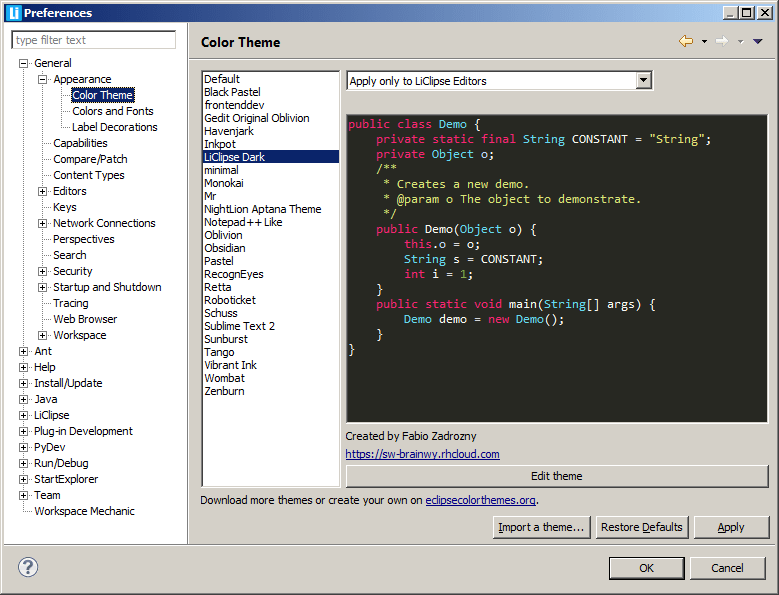 * Support for TextMate bundles (see: http://www.liclipse.com/textmate_bundles.html). * Usability improvements for all Eclipse editors (currently multi-cursors: specifying and editing multiple locations and vertical indent guides in any editor). * Bundling of many useful plugins in a single package (currently it also bundles Eclipse Color Theme, StartExplorer, AnyEdit, EGit and PyDev). * Native installers (with a provided JRE) are available for Linux, Mac and Windows. By adding the following code below to your website you will be able to add an install button for LiClipse. It is great to see that what Fabio Zadrozny has been doing for several years has evolved into new engine. License is commercial, wish the Brainwy success.